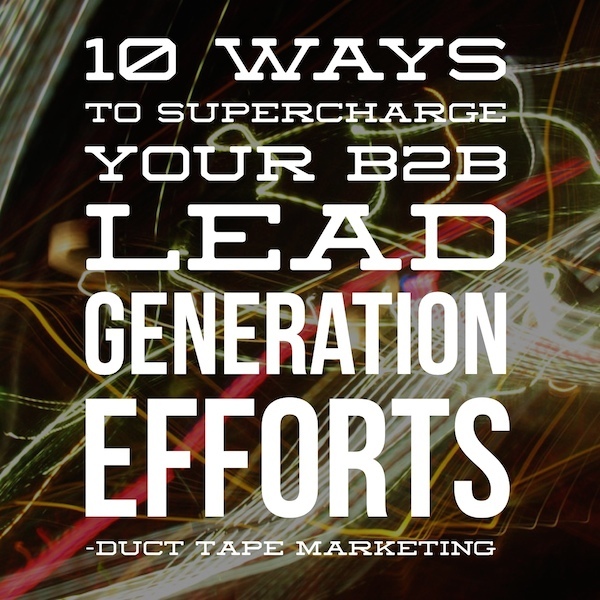 B2B lead generation seems to be a mystery to many marketers. Just do a search on the topic and you’ll find little that’s helpful. In my opinion, there are two reasons for this. One – people are searching for that one killer lead tactic that will mask all ills or, Two – people fail to realize that successful B2B lead generation is made up of activities that are by nature very hard to quantify and pin down. The latter then leads to plenty of articles spouting the virtues of practices such as inbound marketing and content marketing, but little hard advice on how to make any of it pay. Here’s my take – the real problem lies in the fact that you don’t simply generate a lead today, you guide it. Nope, it’s a process that involves many components working together that just happen to culminate in “a lead or click,” but know this, that click isn’t the thing; it’s merely the vehicle. Don’t get caught in the trap of relying on that kind of measure to show you what’s working. Proper lead generation – or lead guiding – goes more like this – 1) Hey, here’s the real problem you need to address, 2) hey, here are a couple ways you might start to think about that problem, 3) hey, here’s one specific way to solve that problem and maybe, just maybe, 4) hey, here’s why we might be the right one to help you fix that problem. This kind of process comes to life in the combination of the right activities delivered at the right time in the customer’s journey. It takes a mindset of consistently calling to action while consistently offering to loop a prospect back into consuming more content. Below are ten B2B lead generation practices that must be used in some combination to guide the act of building a steady stream of highly qualified leads. No matter if you run a marketing department tasked with generating leads or you’re an individual sales person trying fill the lead gap, this is your plan of action. I know everyone tells you that you must be blogging today, but simply waking up on a Monday and deciding what to say is what leads to immediate blogging burnout. You must blog, but you must do it with intention. Here’s the easiest way to do that. Go to your sent email folder and find a dozen or so questions you’ve answered from clients and prospective clients. Now, turn each of those into blog posts. Then, think about the questions your prospects might be asking or thinking before they ever consider your product or service as a possible solution. The point is that to make blogging pay as a lead generation source you’ve first got to start answering those kinds of questions. Dig up as many of those types of questions and put them on an editorial calendar for your blogging efforts for the next six months. Once you get good at that you can turn a series of relevant posts into other forms of content such as videos and eBooks. Social media as a lead generation tool is simply a really powerful way to build and nurture relationships. Stop using it as a broadcast tool and start thinking about influencing and adding value around 50 or 100 prospects. Go to LinkedIn and leave all those industry and job title related groups you signed up for and find two or three groups where your actual prospects hang out and look for advice. Start asking and answering questions in these groups. Start building targeted prospect lists in these groups using LinkedIn’s Sales Navigator tool. Start building trusted relationships based on your expertise and your network, start referring others and connecting these people to the tools, answers and resources they need and you’ll start to generation the right leads in social media. For many B2B lead generation environments, the most effective tactic involves in person education through events like seminars and webinars. When a prospect gets to see and hear that you provide valuable advice, that you seem like a nice enough sort and that you have an answer or two for the precise challenges they are struggling with at the moment, some instant magic can occur. Never mind that from a content creation stand point the ongoing series you create can also be turned into a powerful trust building asset or even a product in itself. Here are some examples created by Duct Tape Marketing Consultants Vicki James and Kevin Jordan. Like so many of the tactics in this post, this one relies on integration and follow-up via one or more of the tactics listed here. We all want referrals, right? There’s no question that the best form of lead generation is the right kind of referral ushered to your door. And yet, few people actively promote this very form of lead generation – if it happens, it happens by accident. I’ve built the bulk of my consulting and speaking business on the sponsor and be sponsored concept. Create an information rich, education focused eBook and/or webinar and reach out to other related businesses and ask them if they would like to cobrand the eBook or offer the webinar to their network free of charge. Many know that they should be offering this kind of information, but haven’t gotten around to it so they will see your offer as a blessing and you’ll receive the benefit of essentially being referred to their entire network. I’ve used this idea in tandem to great effect as well. An organization will ask me to speak to their members and I’ll double up by allowing them to use an eBook I’ve created related to the topic. This way I reach the members in attendance, but I’ll also gain awareness throughout the group and give those that heard me speak deeper insight into how they could work with me. But, you don’t have to stop there. Go out and find someone else’s great eBook or webinar and arrange to cobrand that content as a lead generation magnet for yourself. One of the more popular lead capture options I have on my site is an eBook on Fee Based Selling written by my friends at FreshBooks. Slideshare is a great site for finding people that might be great webinar guests and a search on Google for “yourtopic” filetype:pdf will turn up nothing but eBook related to the topics you choose. Immediately my targeted fish rose, took a look and swam away. I kept at it, offering new casts and new flies and eventually after a number of presentations I would catch the fish. Few things generate quality leads like a series of sequential offers that lead prospects deeper and deeper into your educational grip. By setting up a process that by nature moves your prospect along, exposes them to increasingly valuable content and opportunities to get to know your approach better you set up relationship where it begins to feel as though you are working with a client as opposed to nurturing a lead. 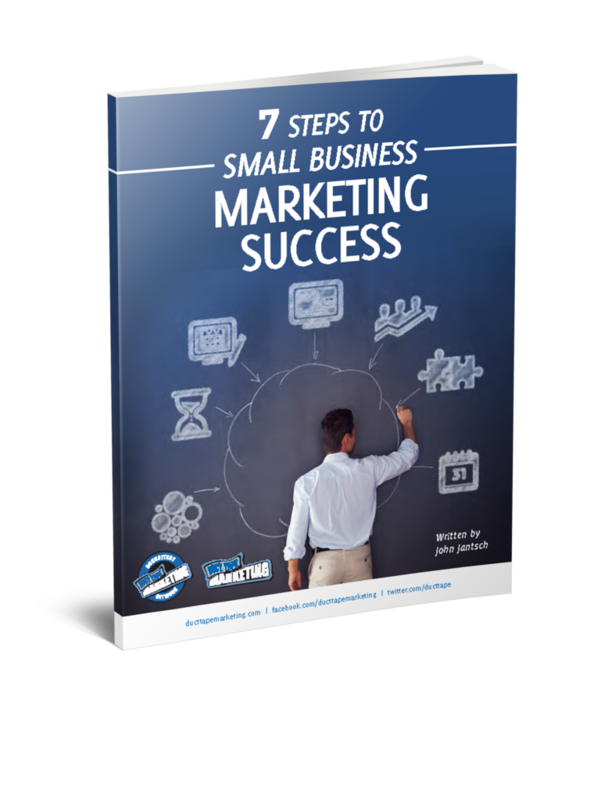 You can accomplish this process through a sequential series of videos or even a series of checklists, each offering more pieces to the puzzle. One of the keys to this approach is that you sell the value of the series and set the expectation that your prospect is going on a journey of value. I return once again to the idea of smaller is better. I know we all want to do that blast thing and have it rain leads, but the more personal you can get the better. You will receive far greater results targeting 50 or 100 ideal prospects a month and reaching out with a personalized letter outlining one highly actionable idea than any other form of mass communication out there. I would never advocate cold calling, although plenty of people still do it. The problem is that the notion of cold implies dumb calling. I still get calls today from people who start off by saying that they would like to come by and spend 30 minutes of my time learning what I do to see if there are any synergies. First off, let me say that if you use the word synergies you probably aren’t going sell me anything, but further, let me say that it is nearly impossible to not know what my business does – heck, you wouldn’t have to work that hard to have my family medical history and some knowledge of my music and food choices, so no call should ever be cold. Picking up the phone and connecting after thoroughly researching relevant and personalized discussion topics is how you create warm calls. Let’s back up to the previous point concerning small batch direct mail. A powerful way to up the response of said small batch mail is to claim in that letter that you intend to call the recipient next Tuesday to talk about several more ways they can increase their sales. Very affordable technology exists today that would let you know which of the letter recipients visited the link in your letter and might just be ready for a call. Most marketing automation tools such as those from Marketo, Infusionsoft and Salesforce incorporate this kind of technology. Reaching out via the telephone in a useful manner will help build trust for your other lead generation initiatives. My friend Derek Coburn has written a tremendous book on networking called – Networking Is Not Working. If you have not read it highly recommend. Coburn debunks the value of the traditional meet and dump kind of networking that people tend to waste their time doing. If you want to make networking pay you have to look at it as a tool for connecting others rather than getting connected. Here’s the difference – instead of reaching into LinkedIn to see who you can connect with, reach into your existing network and find a handful of people that need to meet some shining stars in your network. When you view networking as your opportunity to build bridges that help others – guess what happens – you become a lead magnet. Yes this takes time and effort and it can be hard to quantify right off the bat, but building lead momentum isn’t for those who are afraid of work. I intentionally stayed away from the word podcast because so many people don’t want to be podcasters. Here’s the thing though, I don’t want you be a podcaster any more than I want you to be a blogger – but you absolutely must have a blog! Here’s what I want you to do. Create a podcast so you can gain access to your ideal clients in a highly leveraged way. If you want to work with CEOs of mid size manufacturing companies then create a show where you interview successful CEOs of mid size manufacturing companies who just happen to be happy to share their journey to success with your listeners. Okay, maybe you don’t have any listeners, but your guests don’t need to know that and while you are building your following you’ll be getting some awesome content that helps you build authority in the space you work and just might land you in a conversation with a prime prospect. Podcasting is not as complicated as it might sound and there are plenty of resources, such as The Podcast Answer Man, to help teach you what you need to know to turn this into a lead generation play. I’ve placed advertising as the final piece of the B2B lead generation list not because I don’t think it has much value, but because it’s so much more effective when you are doing many of the other elements prior to buying ads. Ironically advertising is the easiest tactic – anyone with some cash can throw up ads and generate a few clicks and maybe even leads with very little effort. The only problem is that the leads are often uneducated and unqualified. The way to create the highest quality leads is to invest in teaching them how to be ideal clients. When you employ many of the previous tactics you can use your advertising to drive prospects to any number of educational opportunities, such as video tips, webinars, eBooks, and, now that you have one, your podcast, knowing that the traffic you send to these elements will do the proper job of educating and ultimately selling. You’ve probably run across some of these suggestions in search for lead generation answers, but the real point here is that you’ve got to employ numerous lead generation tactics, working together, in order to create lead momentum.